Need to correct, cancel, or update an existing locate ticket? If so, Gopher State One Call (GSOC) offers two ways for excavators to reprocess tickets, online or by phone! After an excavator files a locate request with ITIC, GSOC emails them a record copy that includes a specialized MapLINK (labeled “HERE”) to their information. This link provides immediate online access to all of an excavator’s tickets (historical and current) and includes a map of the excavation site and utility notification list. Clicking the link connects users to Excavator Ticket Management (ETM), an online ticket archive. ETM is a handy tool to use to correct, cancel, or update a ticket without logging into ITIC or calling GSOC. If you prefer to call us to reprocess a ticket, feel free to contact the notification center at 811, or on our direct lines at 651-454-0002 for the Twin Cities metro, or 800-252-1166 for the Greater MN area. There are three types of reprocess tickets1: Correction, Cancellation, and Update. Keep reading to learn about the differences between the three ticket types! We will be taking calls for emergency locates only on Monday, Sept 3rd in observance of Labor Day, but remember, you can file a ticket online 24/7. NOTE: Monday will not count towards your standard 48 hour notice when filing a locate, so please plan accordingly. The Minnesota Office of Pipeline Safety (MNOPS), a division of the Minnesota Department of Public Safety that enforces the MN 216D State Statue, inspects natural gas, propane, and hazardous liquid pipelines, and investigates leaks and accidents, hosts an annual Pipeline Safety Educational Conference. 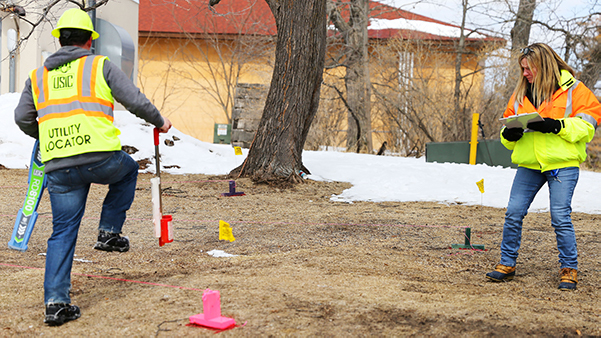 At the 2018 conference at Breezy Point Resort on April 9, MNOPS reinstituted its MN Utility Locate Rodeo, inspired by the large-scale International Utility Locate Rodeo. Gopher State One Call (GSOC) was a proud sponsor of this unique event! What is a meet ticket and when should you file one with Gopher State One Call (GSOC)? Excavators can file meet tickets with GSOC to request an on-site meeting with facility operators at the proposed excavation site to clarify the precise location of excavation, schedule locating, propose future contacts, and/or share other information concerning the excavation and facilities. Excavators can request a meet ticket online by logging into ITIC or via phone by calling the notification center at 811, or on our direct lines at 651-454-0002 for the Twin Cities metro, or 800-252-1166 for the greater MN area. Make sure to anticipate changes in the job site, weather, or other conditions that may change the direction or nature of the work and communicate those changes to all affected parties.